Download Other Uncategorized jQuery Plugins at jQueryScript jQuery Other Plugins section Page 108 .
sticky.js is a simple but widely-used jQuery plugin that enables you to stick any element on a fixed position of your web page. colorselector is a simple and fast jquery plugin allows you to quickly pick a color form a set of predefined colors. countLite is a lightweight (4Kb, gzipped) jQuery plugin for client side based event trigger without server side code. 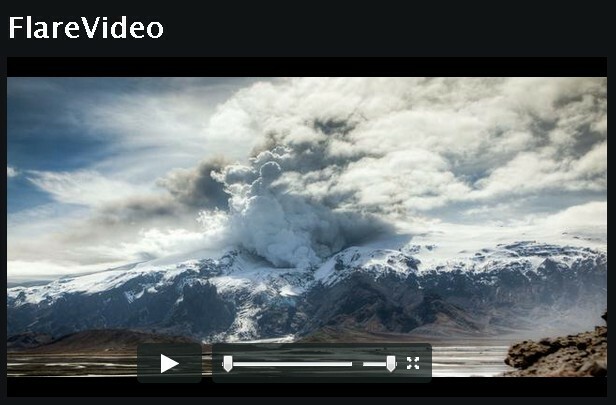 foggy is a simple and fun jQuery plugin that allows you to add a blur effect to your webpage element that makes other certain elements of your page become more eye-catching. textillate is a simple jQuery plugin for creating awesome text animation effects with CSS3. 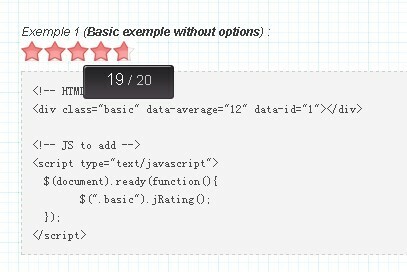 jRating is a flexible jQuery plugin that makes it easy to create a smart star rating system for your project. Color Thief is a jQuery Plugin for generating the dominant color or color palette from an image. 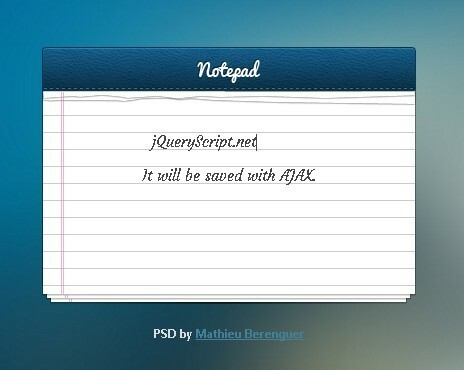 AJAX Note Taking Web App built with jQuery and PHP that allows your vistors write notes which can be auto saved into a text file with AJAX. Add Shine is a simple jQuery plugin for converting a solid background color into a gradient that simulates a subtle shine on that color. photobooth is HTML5 widget bulit with jQuery that allows your visitors to take their avatar pictures on your site. With this plugin, users can adjust the hue, saturation and brightness of the pictures. paypalbuyitnow is a jQuery Plugin that makes it easy to add Dynamic Paypal Buy It Now Button to your project. 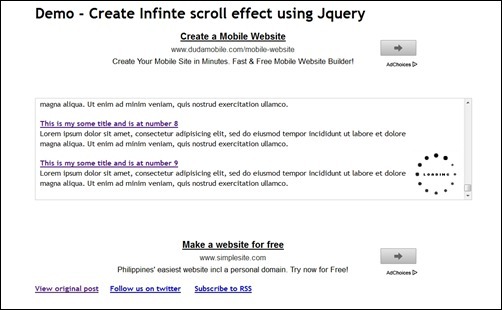 infinitescroll is a jQuery plugin for creating Infinte Scroll effect for your long web contents. A simple Github Widget built with jQuery that allows you to display user information and most recent repos for a given Github user.